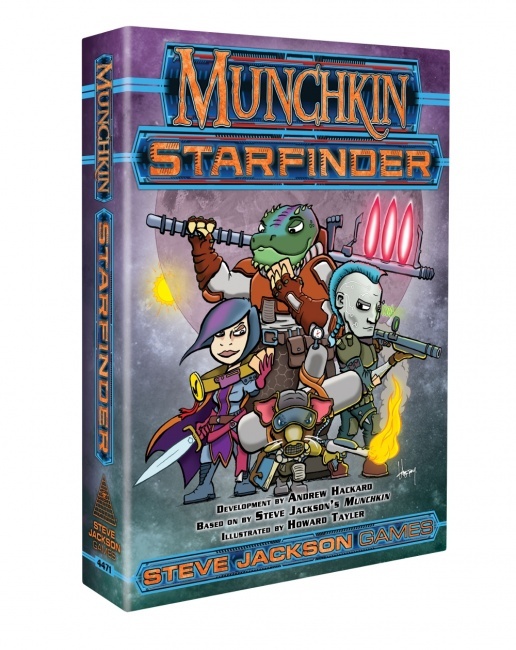 Steve Jackson Games and Paizo Inc. announced Munchkin Starfinder, a new version of the popular card game featuring characters and scenes from the Starfinder Roleplaying Game. 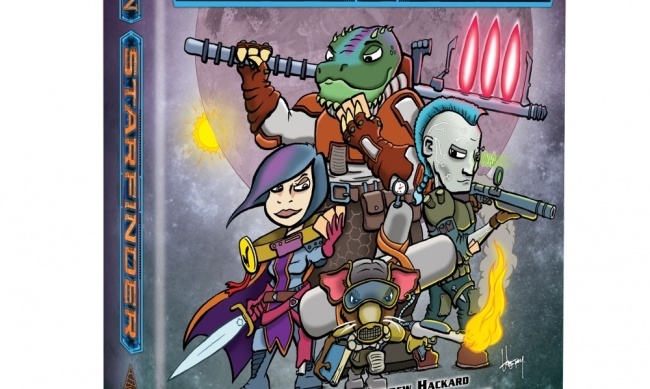 SJG and Paizo previously partnered on Munchkin Pathfinder (see “'Munchkin Pathfinder'”), and now, much as the new Starfinder Roleplaying Game takes the fantasy characters and setting of Pathfinder to the stars, this game will as well. The 168-card core game will include new classes and races from Starfinder, as well as the looming threat of the Swarm. The game will be illustrated by Howard Tayler, artist on the webcomic Schlock Mercenary. MSRP is tentatively set at $24.95. The game will be funded via a 10-day Kickstarter campaign launching on October 23. The campaign will fund the core game and an unnamed expansion. SJG recently funded the new party card game Conspiracy Theory via Kickstarter (see “Steve Jackson Touts New 'Conspiracy Theory'”).